Glasgow-based record label, Camo Pants Records, is working to raise money to help to buy toys, which will be donated to The Community and Beyond Toy Bank. Still relatively new, the metal label have had a great first year with their releases going down an absolute storm with the metal community. However, as they worry about if the next release will be as popular or if websites and magazines are willing to premiere their latest, they’re more than well aware that those in their local community have much bigger worries. As Christmas comes around, it’s a stark reminder that for a lot of people, money’s tight. And as such, some kids may have nothing under the tree when 25th December rolls around. 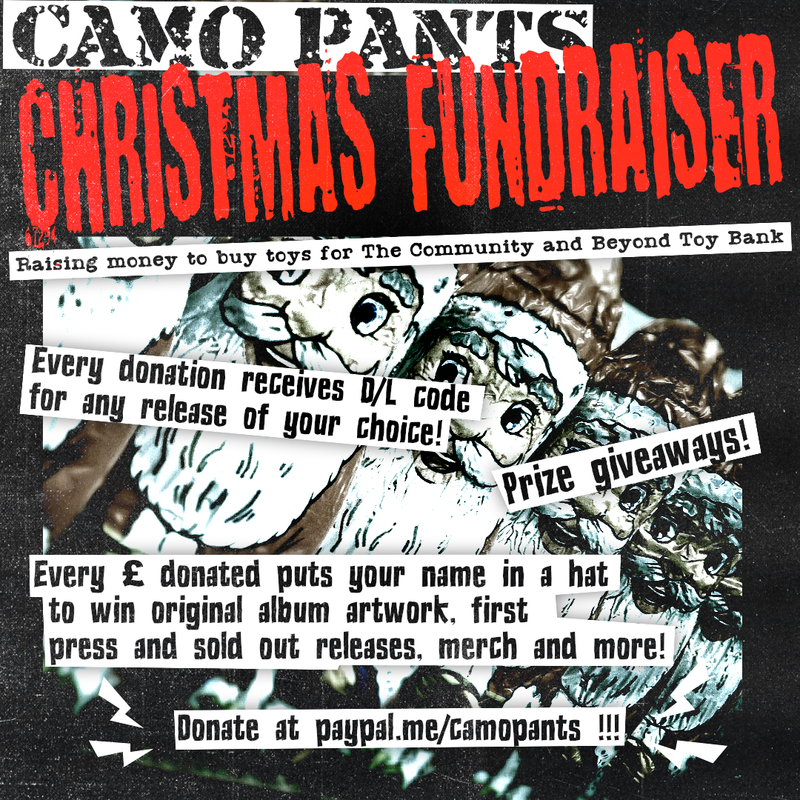 So Camo Pants Records, in the spirit of the season, are trying to give back. Any and all donations can be made via this link with every penny going straight to The Community and Beyond Toy Bank, a volunteer-run toy bank based in Glasgow. Every person who donates will receive a digital copy of a Camo Pants Records title of your choosing. But that’s not all! For every pound you donate, your name will be entered into a prize draw to win such goodies as original release artwork, sold out releases, merch goodies and more. So if you donate £10, you’ll have ten chances of your name being drawn. So, if you’re able to spare a few quid this Christmas for those in need, put it here rather than listening to tax-dodging celebrities encouraging you to do so.